Our Young Athlete Performance Training program balances the proper combination of operating mechanics, physical development and physiological knowledge to empower young athletes to reach beyond their self-imposed limits and maximize their athletic performance. 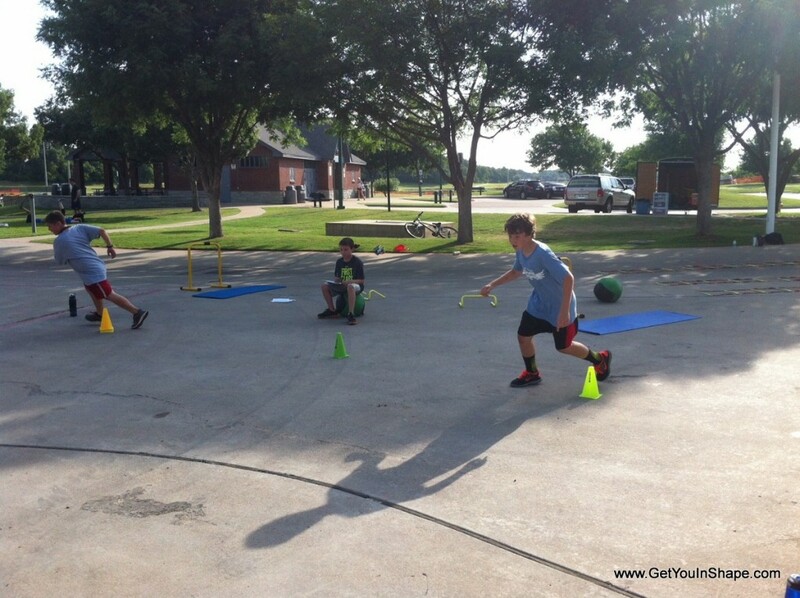 Get You In Shape provides small group personal training sessions aimed to help young athletes develop the strength, agility, and stamina they need to perform their best in season. We will cap out each class at 10 athletes to 1 trainer/coach. This will allow us to provide the most individualized instruction to help each athlete reach their full potential. Who are We and Why You Can Trust Us With Your Athlete(s)? 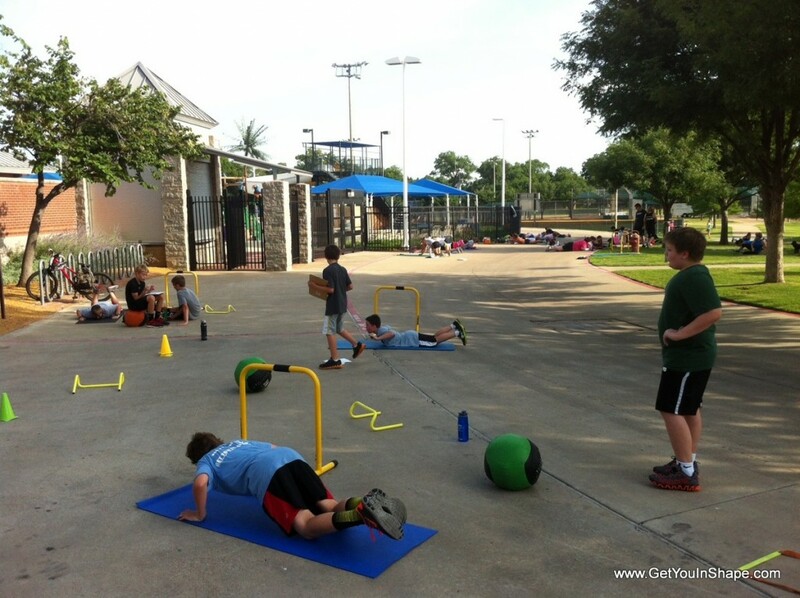 Get You In Shape is a fitness business in the Coppell area that has been involved with the City of Coppell since 2007. Owner Brad Linder, a former professional athlete and fitness guru, has been a leader in health and fitness for over 10 years. We have been on the news, in the Dallas Morning News, on The Doctors TV show and have had 3 Dallas area fitness locations. 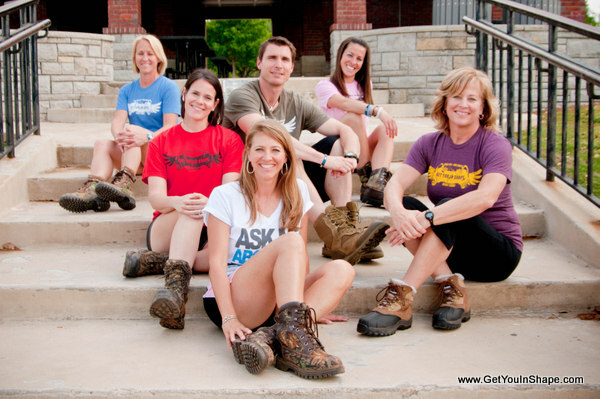 The Get You In Shape Group Personal Training program has helped more than 4,500 participants since starting in 2007. 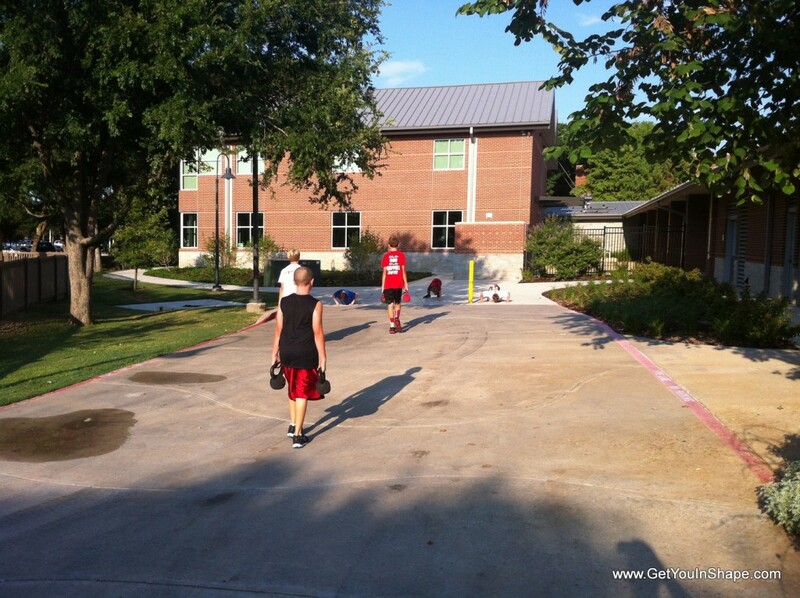 The Coppell youth program started in 2008 and has been a great addition to the Get You in Shape Services. 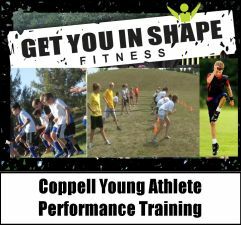 The Young Athlete Performance Training program in Coppell will be lead by a Certified Personal Trainer. What Exercises will be performed in the Get You In Shape Young Athlete Performance Training program? Get You In Shape’s team of certified personal trainer’s have experience with Young Athletes and will design the performance training program based on sport science. We will use agility ladders, hills, steps, and other forms to help increase speed. 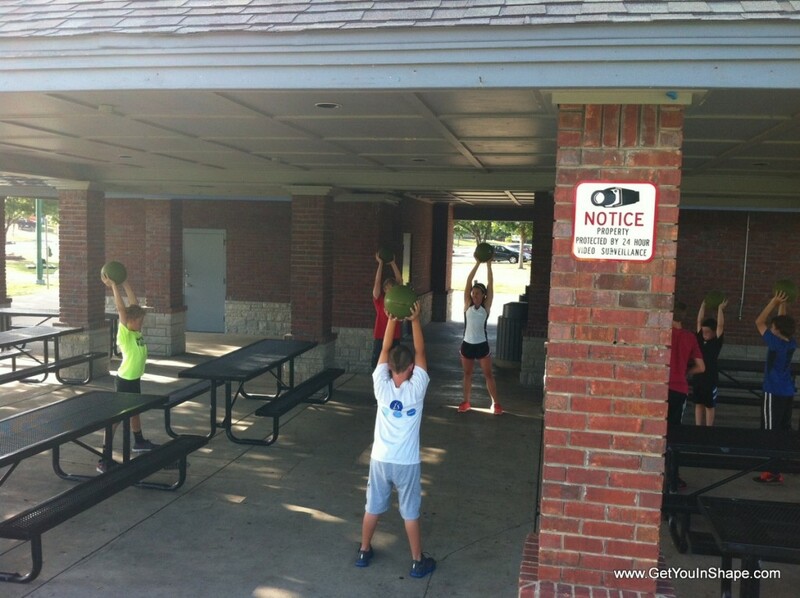 We will use weights, kettlebells, medicine balls, slam ball, ropes, and other fitness equipment to help increase power and strength. 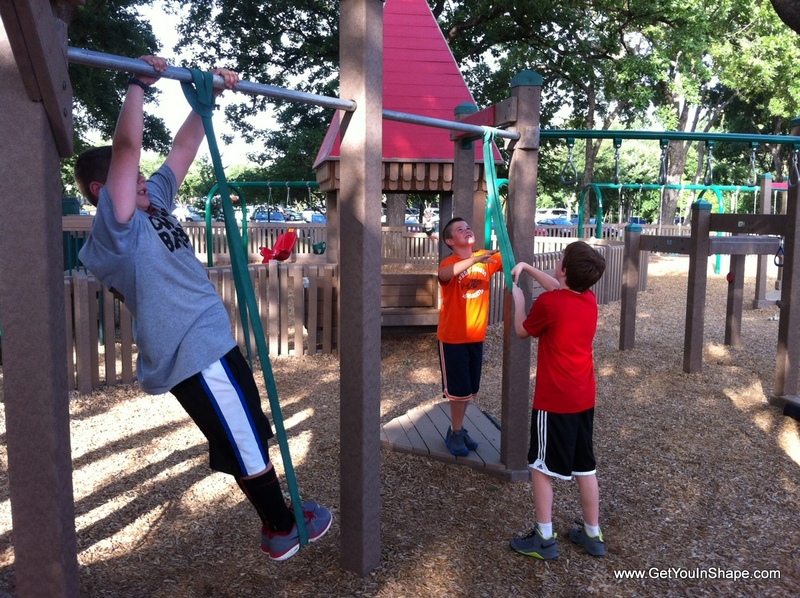 Each fitness session will be different, challenging, and specific to young athletes. How long are the sessions for the Get You In Shape Young Athlete Performance Training program? Each Session is only 60 minutes long so we ask parents to make sure the young athlete arrives at least 5 minutes before each session. It will end at 9am every day. We will be out of town for a week, do you offer week to week options? This is why we allow you to choose the amount of sessions you want to buy before the summer. We will be having a total of 24 sessions and you will be able to choose between 12, 18, and 24 sessions. My son (or daughter) is not an athlete, can they still participate? The Young Athlete Performance Training program is really built for athletes looking to improve in their athletic ability. We will focus on improving agility, fitness level, strength, power, speed and flexibility. What are the ages for the Get You In Shape Young Athlete Performance Training program? We are keeping it to 10-15 years old. We understand that there will be other ages that want this service. Unfortunately, we are keeping it to 10-15. If your athlete is borderline, please contact us and we will keep your name on the list if we are short on numbers. Get You In Shape’s main service is the adult fitness program and we are just adding the Young Athletic Performance program as a small additional service to that. 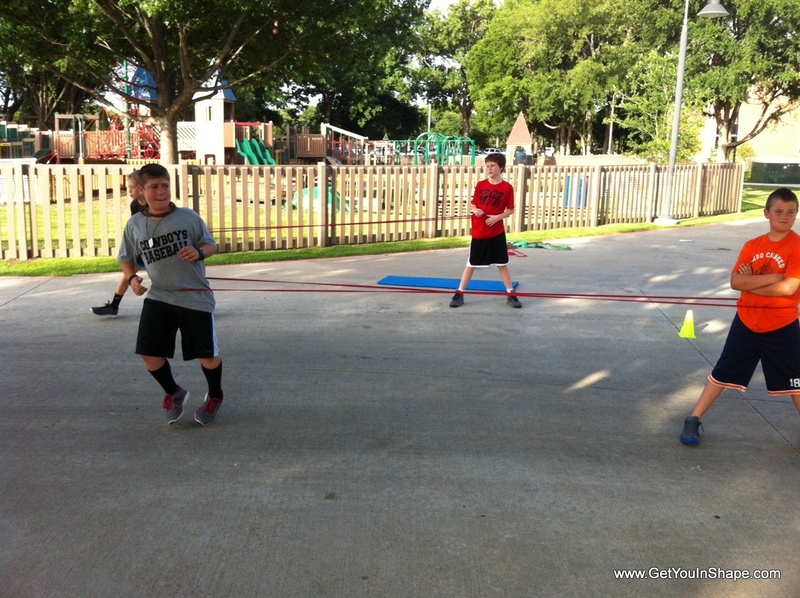 Have questions about our Young Athlete Performance Training program, please call 214-603-8287. P.S. Our Young Athlete Performance Training program will start soon and I expect demand to be high. And space is limited to just 20 kids (so we can keep a close eye on everyone). Just click on the sign up now link above to get secure he spot. Or, if you prefer, you can call us at 214-603-8287. If you are in Coppell, Carrollton, Flower Mound, Irving, Lewisville, Los Colinas, Plano, Dallas, Highland Village, and other surrounding cities, this Young Athlete Performance Training program is close to you. 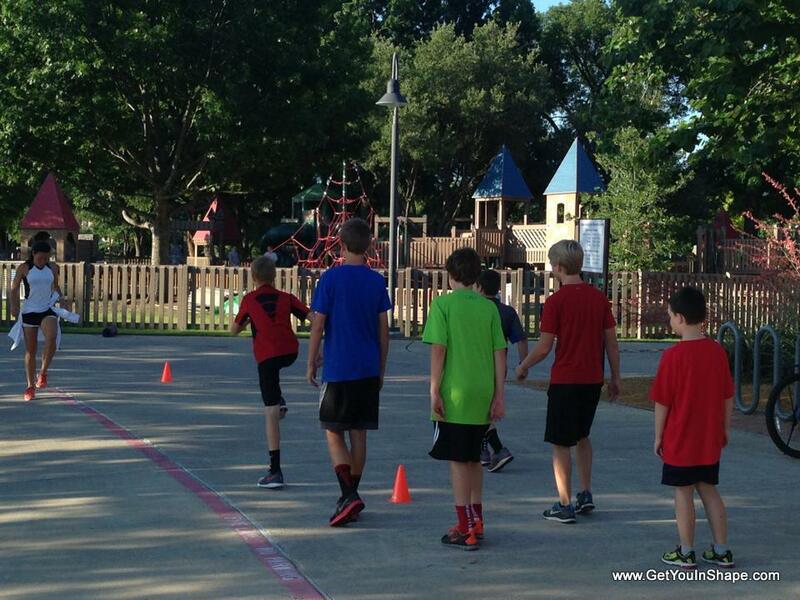 Here are a few pictures from our past Young Athlete Performance Training Program in Coppell. If you are in Coppell, Carrollton, Flower Mound, Irving, Grapevine, Southlake, Colleyville, Lewisville, Los Colinas, Plano, Dallas, Highland Village, and other surrounding cities, this youth athletic program is close to you.